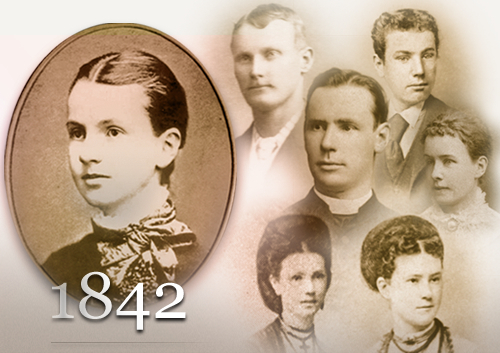 Mary MacKillop, the daughter of Alexander MacKillop and Flora, née McDonald, was born in Melbourne in January 1842, and spent most of her childhood and early adulthood in Victoria. She was a serious child with a strong love for God and a desire to do what she could for people in need. 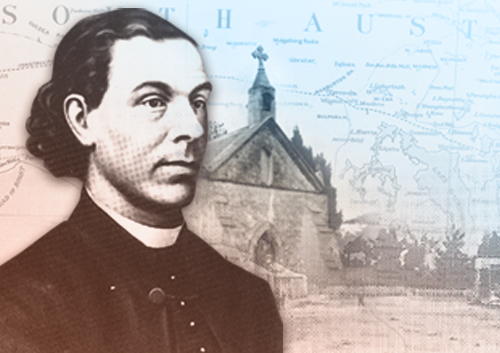 Alexander MacKillop was born in Scotland in 1812. At twelve he began his studies for the priesthood and transferred to Rome at fourteen. Before his ordination fell due he returned home and, after a brief time at a local seminary, abandoned his idea of becoming a priest. 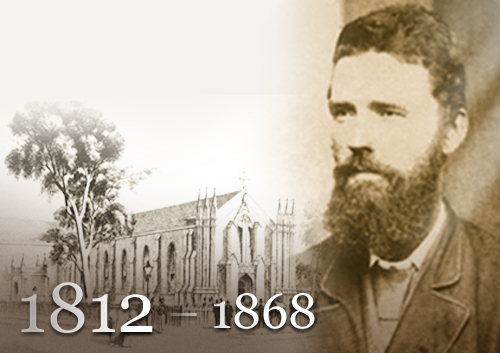 In 1838 he migrated to Sydney and in 1839 he moved on to Melbourne to welcome his family there. He went into business and in 1840 he met and married Flora McDonald. He purchased a house in Fitzroy but, following some unwise business deals, he lost it and was never again fully employed. Consequently, his family often had to rely on relatives and friends for support. After years of failed attempts at making money, he left them altogether and moved to his brother’s property near Hamilton, where he died in 1868, aged 56 years. 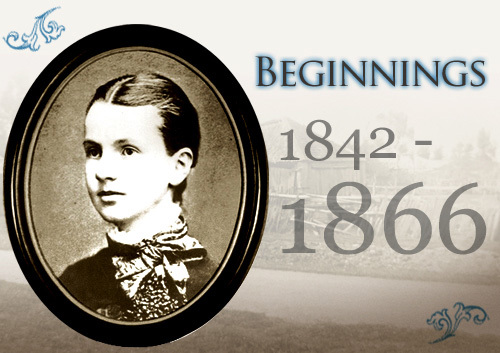 Flora McDonald was born into a well-educated family at Fort William, Scotland in 1816. When she, her mother and brother arrived in Melbourne aboard the Glen Huntley they were quarantined because of an outbreak of typhoid during their voyage. Before long she met Alexander MacKillop. They married within a short time and moved into the home where Mary, the first of their eight children, was born in January 1842. Flora suffered much during her married life because of Alexander’s inability to support his family adequately. They moved house often and, as Mary once wrote: Our home when we had it, was a most unhappy one. 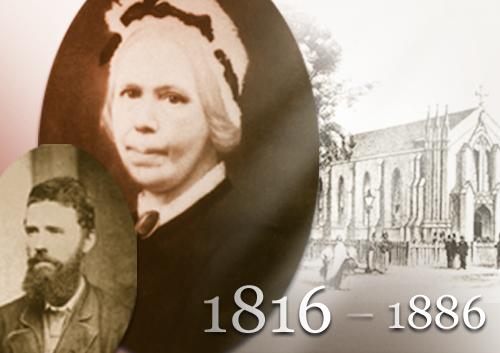 Nevertheless, Flora never lost her trust in the loving Providence of God and was much loved by her children. Five of Flora’s children predeceased her and she died in a shipwreck in 1886 aged 70 years. 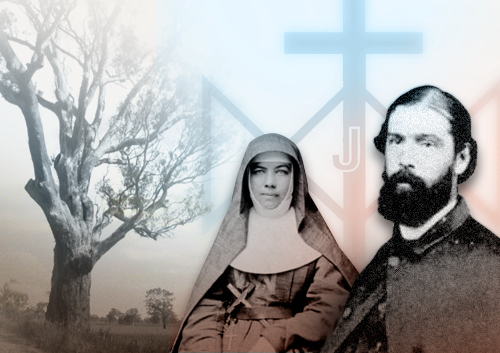 Mary Helen MacKillop was born on 15 January 1842 in the family home in Brunswick Street, Fitzroy. Her seven siblings followed in close succession and she was heartbroken when her baby brother, Alexander, who came between John and Annie, died when only eleven months old. Both Flora and Alexander were well educated and hence, while their children had little formal schooling, they, too, became well educated. Thanks to their father, they were firmly grounded in their faith while, among other things Flora, who had studied music at home in Scotland, brought into their lives a love of music and singing. Life was hard for this family but any sense of hopelessness they may have felt was countered by Flora’s trust in the Providence of God, their strong love for each other and the support they received from their relatives. With time, teenage Mary and her brother John assumed much of the responsibility for their support. At times one or other of the children needed spent lengthy stays with relatives. 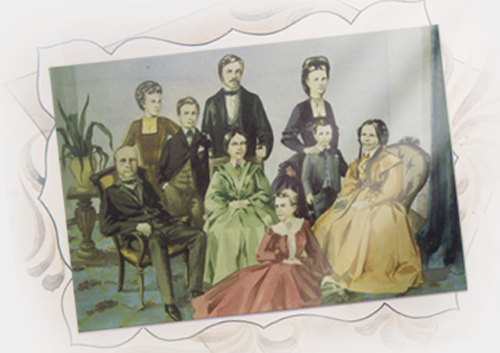 For a brief period during the early 1860s, they were all together for the first time in their lives. Thanks to their father’s unpredictable behaviour, however, they were forced to split up again. 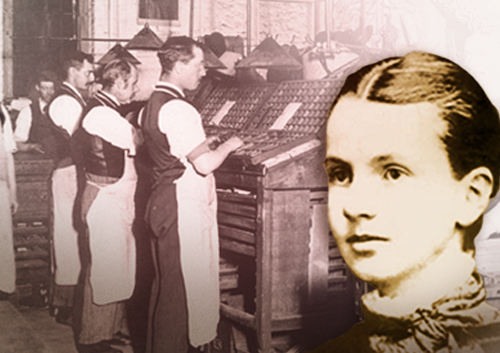 At the age of sixteen Mary began work as a clerk for Sands and Kenny Stationers in Melbourne. During her two years there she was awarded much responsibility. At this time, she and John were supporting their mother and five younger siblings. Mary wrote: When I was sixteen years of age the principal care of a very large family fell upon me, and from that time until I was 25 I felt its burden yearly more and more. 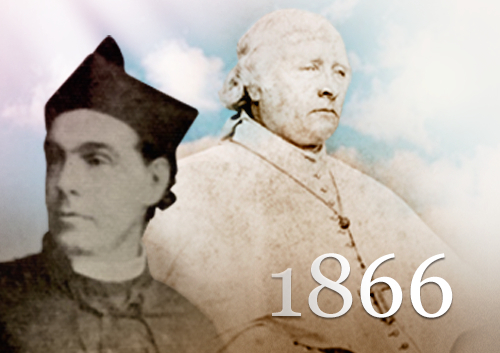 Mary to Monsignor Kirby, Rome, Ascension Thursday (22 May) 1873. At 18 years of age, Mary moved to the small, private township of Penola in South Australia to become governess to her Aunt Margaret and Uncle Alexander Cameron’s children.There she had a guaranteed income which she sent to her mother who was still caring for the four youngest children in Melbourne. While at the Cameron’s place, Mary not only taught their children but, in her own time, did what she could for others who, in poverty, were left to their own devices. In particular, it was to the Aboriginal children that she gave most of her attention. It was here that she came into contact with Fr Julian Woods, who was in his fourth year as priest-in-charge of the Penola Mission which was approximately 30,000 square kilometres in size. Mary found friendship and hospitality in the local community and was able to make a contribution there. Let us begin, for God’s sake. Wherever there is a Pastor and a flock, we implore you to make a commencement of a Catholic school. Let each do what he can. (Geoghegan, Pastoral Letter, 8 September 1860). Woods did not know how to do this in his isolated, sparsely-populated region. No trained Catholic teachers were available. Then, as he brooded over his dilemma, he recalled having met some Sisters of St Joseph at Le Puy in southern France. Maybe they would come to Penola! 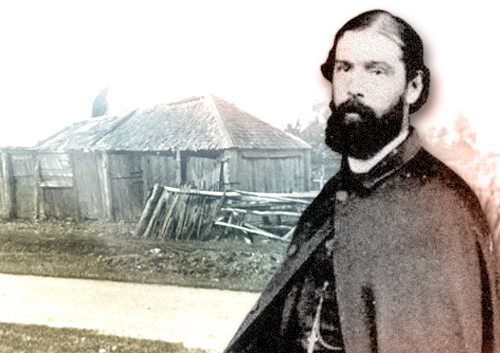 When such a move proved impossible, he had a flash of intuition—he would found a Religious Order whose members would teach the children of the South East of South Australia! In the meantime, Mary had confided to him that, from the time she had understood that her father had been intended for the Church and had not persevered, she had longed to leave all [she] loved and live for God alone, and he had become her spiritual director. In due course, she returned to her family in Western Victoria. He maintained contact with her, however, and together they planned for the establishment of his Order. It is a long time since I heard from you now, and as it seems you are not coming down as soon as we expected, I must write again to you to remind you. Not that I have any news, nor indeed much time, but I am not quite so busy today. I hope you can pay us your promised visit on your return from the Tatiara (I don't know how to spell the word); we all expect you then. In the meantime, in his anxiety to fulfil his Bishop’s mandate, Father Woods engaged two lay women to manage his school. By the latter half of 1865, however, both had resigned to get married. Therefore he invited Mary to come but, when it proved impossible for her to leave Portland for the time, he asked her younger sister, seventeen year-old Annie, to fill in until she could come. She taught the children in the local church. He then acquired a lease on a disused stable and had their brother, John MacKillop transform it into a very satisfactory schoolroom. 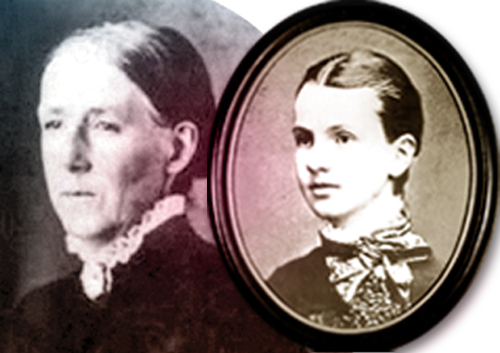 Eventually, in early 1866, Mary, who by now was twenty-four years old, felt free to leave her family and take charge of the school. By this time, too, Mary was free to accept Father Woods’ invitation that she become the first Sister of St Joseph. Therefore, on the Feast of St Joseph, 19 March 1866, when she appeared in a simple black dress, a very deliberate action on her behalf, it became evident that this was an act of substance. Even so, at this time, their vision did not extend beyond the Penola region. 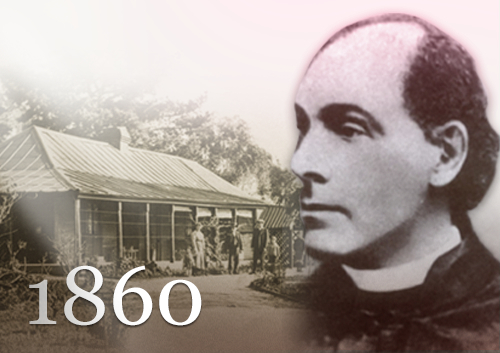 Fr Woods, who moved to Adelaide in 1867, soon discovered that he needed Mary’s assistance there. He invited her to Adelaide to help train his teachers. He now realised that Mary and those who had joined her would need a Rule of Life and so he composed one for them. Bishop Sheil approved it in December 1868. While Mary longed to commit her life to God as a religious sister, her mother, Flora, was unsure of her daughter’s chosen commitment. She had long seen good, dependable Mary as friend and confidant and had relied on her income to support herself and her two youngest children. Mary’s move to Penola and then to Adelaide came as a great blow to her. For Mary, the family responsibility still weighed heavily on her mind, but her deep desire to serve God in the poor, that had been suppressed for the sake of the family, was now able to surface and the fulfilment of her dream of devoting her life to God was now a reality. By the time you receive this, you will know all that I have long since wished to tell you, and for which I trust our Heavenly Father has prepared you. Your loving heart will, I fear, be inclined to grieve at this perhaps earlier separation than you expected, but ah! do not indulge the feeling, for does not God honour us all? He has made your life one of many trials that in the midst of such you might serve Him in the manner most pleasing to Him. It was in hardships, poverty and even want that you had to rear your children, but in the bitterest trial and greatest need your confidence in Divine Providence never failed. May that bright confidence now enable you to give your children cheerfully to the service of God Who so highly honours them by giving them a desire for the Religious Life. Long and earnestly as I have wished to enter Religion, the thought of leaving you, my loved mother, gave me so much pain and anxiety that I had to make it the subject of many Communions. Kind friends, too, prayed for me, and now I am very happy, for I am sure you will not look for any other happiness in this world than that of serving God in any way He pleases. No matter what sacrifices of the will or inclinations we may make, the more and the deeper felt the better, so long as we do God's Will - that is all we want. Oh! how I wish we would only remember that we are but travellers here. With this thought ever in our minds, how easy would the daily trials of life become to us. I do not expect, nor do I desire, earthly happiness for you, but I do desire much in the world to come. 'Tis useless my trying to explain what I feel, but I think God can make us very happy even in this world, that is, when He gives us opportunities of suffering cheerfully for Him. What to worldly eyes appear great crosses should be to us great blessings, and ever prized as such. "Let us try to keep God with us by charity of thought, word and act." Please note permission is required for use of ALL images and text in the Sisters of Saint Joseph website.